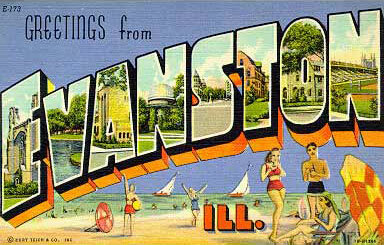 Really something else – Greetings from Evanston, Ill. This week, I don’t even know. The first 60-hour one in a while. But, hey, still standing. Got a lot done. And now it’s weekend. It’s the exhausted, scratchy-voiced weekend. But still standing. Or at least pretend awake. Chuck Ragan, Not Typical. I posted the album version a few months back, and this week I ran across a great live version from his label’s offices. So ragged, so good, just like this week. But you worry about future voice. This video was among the automated suggestions in the rail of the Ragan video, and how often does an algorithm give you the cover you covered in the shower earlier in the week? I think I’ve posted a version of this cover before, but who cares. The Horrible Crowes, Teenage Dream. Julia Louis-Dreyfuss and Seinfeld, in a 2000 clip the David Letterman vault posted this week, singing. I smiled the entire way through. Last, one of my favorite music interview passages in a while, with Dave Bielanko, the singer from one of my favorite bands, Marah, talking to The Key blog from WXPN, one of my favorite radio stations, about Marah’s new inspired-by-ancient-logging-songs Mountain Minstrelsy album. TK: It’s such a cool idea for project, digging into an old songbook for this century-old music. I’m sure you get this comparison a lot (and I apologize if you’re sick of hearing it!) but it feels like what Wilco and Billy Bragg did with Woody Guthrie’s music. They were able to get several albums out of that project – do you think there might be a Mountain Minstrelsy Volume 2? DB: Thanks! “California Stars” is a great song, but here’s a thing…Woody MF’n Guthrie wrote those song lyrics…and there’s a good argument for him being one of the greatest song lyric writers we’ve ever known. (google “Talkin’ Hard Work Blues” if you think I’m lying.) Our source material was a bit more??? I dunno “spotty”? It took a lot of work for us to find a record hiding in there. This stuff came “whispered down the lane” from obscure hillbilly, lumberjacks and poor mountain folks so that gave our whole undertaking a very different underdog spirit, a punk rock feeling, it felt like we were maybe even doing something “good” for some pre-ASCAP uncelebrated forgotten songwriters. Ghosts. It also felt nice to not have Woody or Hank Williams looking over your shoulder as you worked. We were able to just be ourselves and just chase down whatever album it was going to become, keep ourselves present, see where it all would lead…nobody was fighting over these over songs anyway, it was just laying there to be done.